AVAglio: Results were announced at the SNO (Society for Neuro Oncology) Conference of the Phase III AVAglio study comparing avastin (bevacizumab) in combination with radiation and Temozolomide versus radiation and temozolomide plus placebo in patients newly diagnosed with glioblastoma. The Avastin arm showed a 36 percent reduction in the risk of disease worsening or death which can also be referred to as a 56 percent improvement in PFS or a 4.4 month improvement in median PFS. Interim results for overall survival did not reach statistical significance (HR=0.89; p=0.2135). Final data on overall survival are expected in 2013. Secondary endpoints included a number of relevant health-related Quality of life measures; an additional benefit was that patients in the Avastin arm required less corticosteroids. Public service announcements: In the November E News we reported on community or public service television announcements (PSAs) from The Netherlands and Australia. The Brain Tumour Foundation of Canada has advised us of three outstanding PSAs they have made in collaboration with David Rey, an award winning Canadian film maker and other filmmakers from Canada and the USA. David's brother died of a brain tumour in 2011. Successful search for UK mother and young son with a brain tumour: A seven year old boy who had recent surgery for a medulloblastoma prompted a nationwide hunt when his mother â€œfledâ€ with him because she opposed doctorâ€™s recommendations that the boy should have Radiotherapy. The mother and her son have since been found and the woman has explained that she had been told that radiotherapy would "fry" her son's brain, that she believed in alternative therapies, that she was on her way to obtain hyperbaric oxygen therapy for him, and did not carry a mobile phone because it could affect her son's health. A High Court judgement on whether the boyâ€™s mother could stop him having radiotherapy has been adjourned until 18 December. The episode touches on communication issues between doctors and patients, as well as parents' rights and accepted treatment modalities which were also raised in a very similar case in the USA involving an eight year old girl with a medulloblastoma and reported in the August IBTA E News Meanwhile, Dr Mustafa Khasraw (Australia) is publicising a COGNO survey of doctors of their treatment of adult medulloblastoma. The results are immediately available to all doctors who complete the survey and will be available to non-doctors when the survey has been finalised. New Zealand brain tumour patient faces deportation: A British family who have lived in New Zealand for seven years face deportation because the father has a brain tumour. Immigration NZ acting general manager Bruce Burrows said their application for residence was rejected because Mr Crystal was no longer actively in business and was "likely to impose significant cost or demands on New Zealand's health services". Friends and neighbours have been helping the family with cash and other donations. Swallowing and voice problems after neurosurgery: Experts from Johns Hopkins (USA) are recommending that patients who have had â€œ benignâ€ vestibular schwannoma tumours resected from the base of the brain should be given early post-surgical assessment within 24 hours for trouble chewing, swallowing food and speaking normally. Timely assessments like this, doctors say, can minimise later complications. ASCO Annual Clinical Cancer Advances Report: ASCO has issued this report which is now available for free download (6.10 Mb) from the Journal of Clinical Oncology. Dr Mark Gilbert of the University of Texas MD Anderson Cancer Center in the US has contributed a chapter on â€œ Central Nervous System Cancersâ€ and has chosen to highlight as "notable advances" the genetic marker discoveries for anaplastic oligdendrogliomas, the relevance of MGMT alteration status for choosing RT or chemotheraphy for elderly patients with GBM and high grade astrocytoma, and the relevance of Bayesian-based trial design and factorial design for trials involving rare diseases. The Worldâ€™s Tallest Woman: According to Russian newspaper Pravda, Chinese woman Yao Defen, who is listed in the Guinness Book of World Records as the tallest woman in the world, has died at age 40 from a brain tumour (possibly a pituitary tumour?). Yao Defen was diagnosed with a brain tumour as a teenager. Therapeutic developments: Memantime - A drug usually prescribed to Alzheimerâ€™s patients has been shown to slow Cognitive decline in metastatic brain tumour patients. Everolimus - A Phase III study, reported in The Lancet conducted with 117 patients (infants to adults) with tuberous sclerosis complex (TSC) has concluded that â€œ...the mTOR inhibitor everolimus substantially and significantly reduced the volume of subependymal giant cell astrocytomasâ€ (SEGAs) in persons with tuberous sclerosis complex (TSC). Geron - Geron Corporation announced that the company has discontinued development of GRN1005, its peptide-drug conjugate designed to treat cancers in the brain. "Going forward, the company will focus on the development of imetelstat, its telomerase inhibitor, in hematologic myeloid malignancies and in patients with solid tumors that have short telomeres." Novocure - The European Journal of Cancerâ€™s (EJC) Editor-in-Chief Lex Eggermont has chosen eight key papers published in the journal in the third quarter of this year. One of them is the article by Roger Stupp et al about the Novocure TTF device and physician's choice of Chemotherapy for recurrent GBM. 5-ALA fluorescence guided neurosurgery - Neurosurgeon Dr Lindy Jeffree has advised the IBTA that 5- aminolevulinic acid has been recommended for listing on the Queensland (Australia) list of approved medications. There is also a trial involving 5-ALA led by Dr Colin Watts in the UK. Cotara - Peregrine Pharmaceuticals announced that it had made significant developments in agreement with the US FDA for the design of a single registration trial (involving up to 300 patients) for its drug cotara for recurrent GBM. Zeiss - Zeiss has been reported as planning to extend the use of its 3D neurosurgery technology in Europe, Canada and other areas..
Chemo brain; and Meditation with Art Therapy: Chemotherapy can induce changes in the brain that may affect concentration and memory, according to a study of breast cancer patients presented at the annual meeting of the Radiological Society of North America (RSNA). Using positron emission tomography combined with computed tomography (PET/CT), researchers were able to detect physiological evidence of "chemo brain", a common side effect in patients undergoing chemotherapy for cancer treatment. Comment - if they were able to identify this phenomenon in breast cancer patients how much more likely would its occurrence be for brain tumour patients receiving therapies that target the brain? In another study of breast cancer patients which may also have implications for brain tumour patients, US researchers combined creative art therapy with a Mindfulness-based Stress Reduction (MBSR) program for women with breast cancer and showed changes in brain activity associated with lower stress and anxiety after the eight-week program. Conference deadlines and dates: The 2013 Biennial Pediatric Neuro-Oncology Basic and Translational Research Conference, organised by SNO with assistance from the Pediatric Brain Tumor Foundation, will be held in Ft Lauderdale, Florida from 16 to 17 May 2013. The deadline for abstract submissions is 4 February 2013. Another conference involving SNO and the AANS/CNS Section on Tumors, deals with "Multidisciplinary Approaches to Meningiomas" and will be held in New Orleans on 27 April 2013. The joint EORTC-EANO-ESMO "Trends in Central Nervous System Malignanciesâ€ conference will be held in Prague, Czech Republic from 22 to 23 March 2013. The early rate registration closes 11 January 2013 and the abstract submission deadline is 11 February 2013. The Asian Society of Neuro Oncology conference, 21 to 24 March 2013 will be held in Mumbai, India. Last date for abstract submission is December 23, 2012 and various registration deadlines can be found here. The IBTA plans to attend both the Mumbai and Prague conferences. The 24th Congress of the Latin American Society of Paediatric Oncology will be held in Bogota DC, Colombia, during 4 to 6 April 2013. There will be a brain tumour workshop on 3 April and a parents' support meeting on 4 April. EU Clinical Trials Regulation: Together with 25 other prominent UK and European organisations, the IBTA has signed a formal statement in support of the proposal for a Clinical Trials Regulation released by the European Commission. ECCO Oncopolicy Forum: The IBTA participated in a recent Oncopolicy Forum in Brussels organised by the European CanCer Organisation (ECCO) which involved more than 100 leaders in European cancer policy. Videos featuring interviews with some of the delegates including IBTA Co-Director Kathy Oliver can be accessed here. Our best wishes for a happy holiday season. Prime Minister David Cameron will today announce plans to transform Cancer treatment in England with new proposals to introduce high-tech DNA mapping for cancer patients and those with rare diseases, within the NHS. The UK will be the first country in the world to introduce the technology within a mainstream health system, with up to 100,000 patients over three to five years having their whole genome â€“ their personal DNA code â€“sequenced. The genome profile will give doctors a new, advanced understanding of a patientâ€™s genetic make-up, condition and treatment needs, ensuring they have access to the right drugs and personalised care far quicker than ever before. It will also help to develop life-saving new drugs, treatments and scientific breakthroughs, which experts predict could significantly reduce the number of premature deaths from cancer within a generation. to build the NHS data infrastructure to ensure that this new technology leads to better care for patients. â€œBritain has often led the world in scientific breakthroughs and medical innovations, from the first CT scan and test-tube baby through to decoding DNA. â€œIt is crucial that we continue to push the boundaries and this new plan will mean we are the first country in the world to use DNA codes in the mainstream of the health service. â€œBy unlocking the power of DNA data, the NHS will lead the global race for better tests, better drugs and above all better care. â€œWe are turning an important scientific breakthrough into a potentially life-saving reality for NHS patients across the country. â€Understanding and harnessing genetic information offers huge potential to target effective treatments and develop new treatments and cures. â€œSingle gene testing is already available across the NHS ranging from diagnosing cancers to assessing patientsâ€™ risk of suffering side effects from treatment. The UK has played a leading role in genetic science â€“ it was Crick and Watson that discovered the double-helix structure of DNA, and British scientists helped to lead the global race to sequence the human genome. When the human genome was fully sequenced for the first time in 2000, the project had cost approximately Â£500 million. We will soon be able to sequence a human genome for less than Â£1,000, and the cost is likely fall further. As a result, experts believe a revolution in the way healthcare is delivered is approaching, with personalised medicines and individualised treatments becoming available for the first time. The sequencing of 100,000 patientsâ€™ genomes in centres capable of sequencing DNA at speed in the UK will further drive down the cost, delivering value for money in comparison to the current NHS tests for cancer and rare diseases that provide a more limited snapshot of information. Â£ 294 m through the UK Research Partnership Investment Fund (UK RPIF) from businesses and charities. Real progress has been made working closely with companies across the sector to ensure the measures in the strategy are making a real difference to their work and their decisions to invest in and remain in the UK. This includes investing Â£1bn per annum through the National Institute for Health Research, which includes Â£500m in our translational research infrastructure in the NHS to boost networks between academia, industry and the NHS. We have now set up the Life Science Investment Organisation, which will ensure the UK continues to be promoted as the partner of choice for overseas companies. However we cannot afford to be complacent. The pace of change in this fast moving sector creates a challenging environment. Going forward we have committed more than Â£100m of new money to help us stay ahead in the global race. Support a top-up fund to provide imaging and cell manufacture technologies and a clean room for the UK Regenerative Medicine Platform. â€In the past year, our initiatives have attracted more than Â£1 billion of private sector investment to the UK. We can see clear evidence the UK is succeeding in creating the right environment to attract global investment to our shores and continue to be world leader in life sciences. 4. The life sciences industry is generally understood to comprise pharmaceutical, medical technology and medical biotechnology companies, and industrial biotechnology companies (industrial biotechnology is not covered by this Strategy). The wider life sciences ecosystem encompasses the broad spectrum of life science partners, including, researchers, clinicians, investors and patients. 5. Despite enormous pressure on public spending, the Â£4.6bn per annum funding for science and research programmes has been protected in cash terms and ring fenced against future pressures during the four years of the spending review period. Almost Â£610 million of capital has been invested in science this year. The report, entitled Cancer patients in crisis: responding to urgent needs, looks at how cancer patients are treated when their condition suddenly deteriorates and they need emergency medical care. It found that these patients often receive "fragmented" treatment from a number of different doctors and specialists. There is also a lack of planning for situations where emergency care is required, the authors said. They recommend that a more "proactive" approach would ensure that patients, carers and doctors are more prepared to respond in an emergency situation. According to the report, many cancer patients and their carers do not know what to expect or who to contact when they are admitted to hospital for emergency care. It recommends that different teams of specialists should communicate with each other, and with patients, to help provide a more coordinated system of care. A series of proposals are set out in the report to help hospitals provide better care for cancer patients who are admitted in an emergency. It recommends standards of good practice that the authors say would reduce the risk to patients, and improve the outcome of their care. Martin Ledwick, head information nurse at Cancer Research UK, said: "It's really important that patients make informed decisions about treatment and care. To do this they need to have clear information and have realistic expectations set of what the risks and benefits of any medical care might be." He added that it is important for patients to know how to get medical care quickly in certain situations, such as when they are having Chemotherapy and at risk of side effects or complications. But when patients are close to dying - and treatments are unlikely to make any difference - it is important for both patients and their carers to know when they need to have Palliative Care rather than emergency services. RCR president Dr Jane Barrett said communicating with patients was one of the most important aspects of cancer care. She said: "Patient care and joint decision-making must be at the centre of cancer services now and in the future. As clinical oncologists, an important part of our role is to ensure that patients understand their treatment and can decide what is best for them. Cancer treatment cannot be a one-sided process." The decision-making process at NHS Scotland's drugs approval body is to be reviewed, following concerns about the inconsistent availability of certain medicines. Scottish health secretary Alex Neil said the review of the Scottish Medicines Consortium (SMC) was in response to concerns about raised by patients, clinicians and charities. The SMC's role is to evaluate all newly licensed medicines and advise NHS boards on their clinical effectiveness and value for money. Following a green light from the SMC, health boards draw up a set of criteria for prescribing medicines. If medicines to not receive the go-ahead, then health boards do not make them routinely available. But individual doctors can prescribe medicines that are not accepted for routine use for patients in certain circumstances via patient treatment requests. Cancer Research UK's public affairs manager in Scotland, Vicky Crichton, welcomed the review. She said: "In a health system with limited resources, SMC does an essential and difficult job well. But there have been concerns raised about patients's ability to access effective medicines. "It's important to look at the evidence and make sure the system is robust so that patients get the best treatments at a good price for the NHS. We look forward to making our contribution to the review." The new review will assess the systems by which new medicines are made available across NHS Scotland, from the national level to local decision-making, Mr Neil said. The SMC's assessment processes will be benchmarked against similar organisations elsewhere to test their effectiveness by independent expert Professor Philip Routledge. Meanwhile, chief pharmaceutical officer Professor Bill Scott will look at how the SMC's decisions are implemented by NHS boards to try to deliver a consistent approach across the whole of Scotland. Mr Neil said: "We know that the SMC is globally respected and has the fastest and most efficient medicine review process anywhere in the UK. "Some clinicians, charities and patients have, though, raised concerns about access to medicines, so it is only right that we look at ways that we could potentially improve access arrangements. "Scotland's NHS is renowned as being at the forefront of new technologies and innovation - I want to make sure that the same is true of access to new medicines." SMC chair, Professor Angela Timoney, said the consortium was confident that its work was "rigorous" and of high quality, adding that people from around the globe visited Scotland to learn from its approach. "We are always willing to learn lessons from other countries so my colleagues and I will support Professor Routledge in his work," she said. 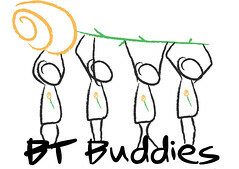 We are very pleased to be able to share a new article on the BT Buddies website with you. Jeanne M. Wallace, PhD, CNC is widely regarded as one of the most prominent experts in nutritional oncology. She is the founder and director of Nutritional Solutions which provides consulting to Cancer patients throughout the U.S. and abroad about evidence-based dietary, nutritional and botanical support to complement conventional cancer care.